As noted in my last post, ambiguity is a concern in any legal document. In a quest to get a deal done quickly, a party may ignore details that may seem innocuous at the drafting stage but become disastrous when questions arise later. This is particularly true with leases, where the document lives on for an extended period of time after execution, as opposed to purchase contracts, where the parties resolve most, though not all, issues at closing. In a leasing situation, you have to anticipate concerns that may develop over the initial term and any renewal term, and these time periods may extend over decades. It is not realistic to think that you can address all of the issues that could arise over such a long period of time, but if you pay attention to the details you can reduce your risk. Another area in which ambiguity causes problems is the use clause in a retail lease. Many tenants have an idea of what their business will look like at the start of operations, but they do not have a firm long-term view of its evolution. This is particularly the case with food service businesses. Landlords, concerned about exclusive rights and protecting their tenant mix, want a tenant’s use provision to be as clearly defined as possible. 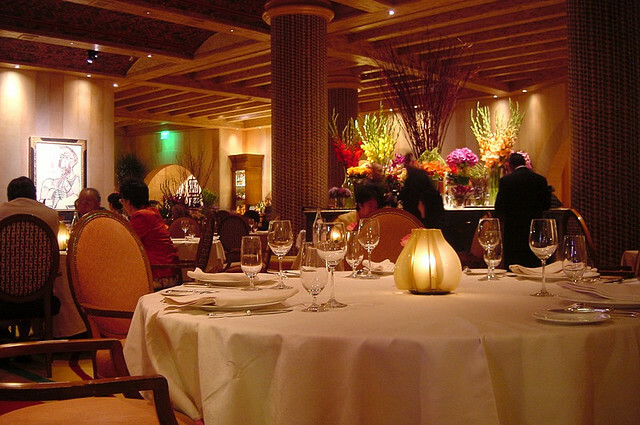 In the case of a restaurant, this means attaching a copy of the menu to the lease as an exhibit and requiring that the tenant obtain the landlord’s consent to any changes to the menu. Most tenants can’t agree to such rigidity, as they need the ability to make changes to their menu, if not their concept, as trends change. Without that flexibility, they may not be able to stay in business. Having represented both landlords and tenants in lease negotiations, our real estate attorneys understand each side’s concerns. In many cases, in a rush to complete the lease for execution, the parties will gloss over the issue and decide that they would prefer to discuss it later, after the tenant’s space is built out and the tenant has commenced operations. That may seem like a great solution when you’re in a hurry to start construction and everyone is shaking hands and excited about the new deal, but when the next restaurant tenant comes along and the landlord has to determine exactly what deal it made with the existing tenant, the two sides may quickly lose their amicability. As painful as this process may be, we suggest that the landlord and tenant sit down and discuss how the tenant’s business may change over time and what each side can accept in its commitment to the current business plan. If the landlord demands complete control over the tenant’s menu, the tenant may need to consider whether this particular space is so central to the success of its business that sacrificing that control is worth the risk. If the tenant adamantly refuses to grant the landlord any type of consent rights to a menu or concept change, then the landlord must consider whether this tenant is so important as to relinquish control of the tenant mix. There are many possible scenarios for each side to give up a little control, and we have worked with many clients in fashioning just this sort of understanding in order to get a deal completed. In any case, if both sides decide to move forward, at least they will have defined the tenant’s use in such detail as to avoid any ambiguity. It may be a compromise grudgingly accepted, but if clearly understood it will help the parties avoid costly litigation down the road.